"Hope is never gone until you choose to abandon it," and "Halfway measures get halfway results," are phrases frequently used by Eleanor M. Kellon, VMD. 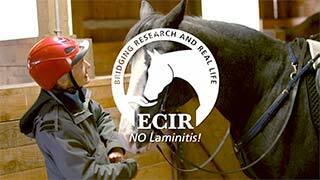 As owner and chief volunteer of the Equine Cushing's and Insulin Resistance outreach group, Dr. Kellon is an invaluable resource, educating and supporting over thousands of horse owners and professionals around the world every day. Dr. Kellon is also the volunteer Veterinary Advisor for the ECIR Group Inc. nonprofit. Dr. Kellon's contributions to science-based veterinary treatment are well known and greatly appreciated by those with endocrine-challenged horses. An Honors Graduate of the University of Pennsylvania School of Veterinary Medicine, Dr. Kellon received special training at the University of Pennsylvania New Bolton Center in Large Animal Medicine and Surgery. Owner of Equine Nutritional Solutions, Kellon is one of the few experts in the field of applications of nutraceuticals for horses, and an authority in the field of equine nutrition and matters pertaining to performance horses. An established best-selling author, Dr. Kellon's books include "The Older Horse", "Keeping the Older Horse Young", "Equine Drugs and Vaccines", "Equine Supplements and Nutraceuticals", and "Dr. Kellon's Guide to First Aid for Horses", as well as a compilation of Dr. Kellon's nutrition articles, Guide to Equine Supplements and Nutraceuticals. Dr. Kellon has also collaborated with equine experts in two books, "Equine Podiatry", and the 2011 release, "Care and Rehabilitation of the Equine Foot". Throughout her career, Dr. Kellon has had a strong interest in the impact of nutrition on health and performance. It was two Horse Journal field trials — one on magnesium supplementation effects in horses and ponies with cresty necks and laminitis (2000), and one on the effects of Vitex agnus-castus (Chaste Tree berry) in Cushing's horses (1999 - 2000) — that got her interested in exploring options to better care for horses with Insulin Resistance and Cushing's Disease. In March 2006, Dr. Kellon was a guest speaker at the European Equine Health and Nutrition Congress in Belgium. Her presentations included "The Use of Jiaogulan and Spirulina in Horses" and "Iron Status of Hyperinsulinemic/Insulin Resistant Horses". In 2008, Dr. Kellon began offering 10-week on-line courses in equine nutrition and Equine Cushing's and Insulin Resistance. These intensive courses were so well received that she has expanded available subjects to include Nutrition for the Performance Horse, Nutrition As Therapy, Managing for Pregnancy and Growth, Comprehensive Care for the Older Horse, Basics of Reading Radiographs, Nutrition for Cats and Dogs and several others. Elevenin-depth10-week courses have been attended to date by over 4,000 students. These courses are accredited by the US Dressage Federation University, Equinology, Tallgrass Animal Acupressure Institute, and The UK Natural Hoof Care Practitioner Association. 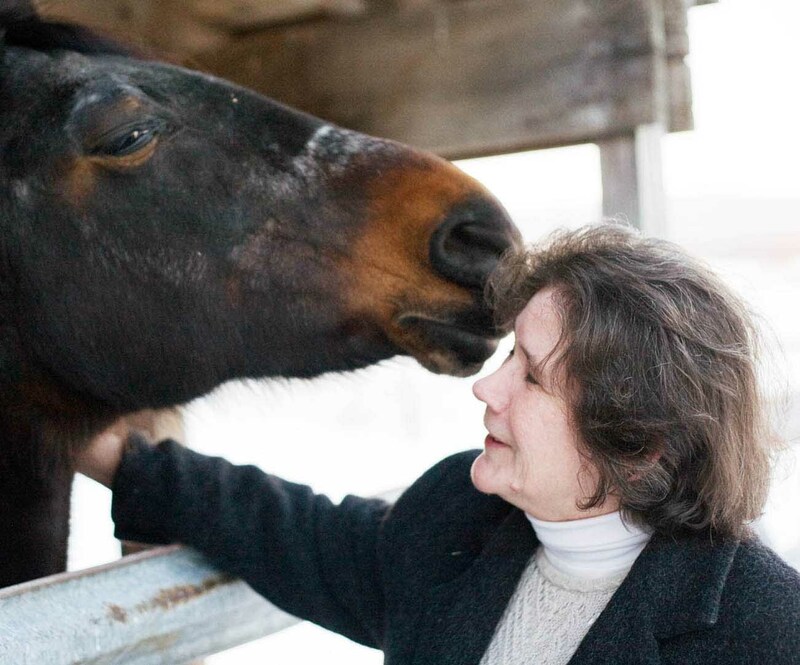 Dr. Kellon launched her e-zine, The Horse's Mouth, in September of 2011. Offering a unique approach, it is the only monthly horse publication where readers direct the content. Additionally all subscribers have immediate access to post questions at any time, to discuss any equine-related topic. In 2011, Dr. Kellon joined Uckele Health and Nutrition as Equine Specialist, to provide input for ongoing development and fine tuning of supplements to support equine health. Dr. Kellon lives on a farm in Pennsylvania where she and her husband raise, train, and race Standardbreds. Kellon, E. The Use of Jiaogulan and Spirulina in Horses. Proceedings of the 3rd European Equine Health & Nutrition Congress, 2006 Mar, Ghent University, Merelbeke, Belgium. Kellon, E. Iron status of hyperinsulinemic/insulin resistant horses. Proceedings of the 3rd European Equine Health & Nutrition Congress, 2006 Mar, Ghent University, Merelbeke, Belgium. Kellon, EM. Treatment of Equine Metabolic Syndrome, Compendium of Continuing Education for the Practicing Veterinarian, Vol 26(2) February 2004.